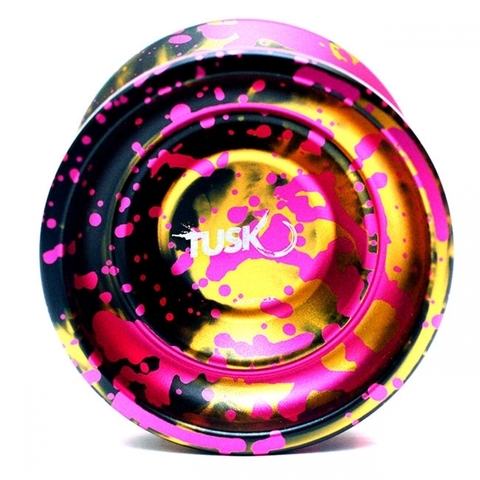 The Tusk is a new yo-yo in 2016 by YOYOFFICER, it has a body shape similar to the Hatchet 2. This yo-yo has a H-profile that has been smoothed out and simplified, giving you a familiar-yet-new way to enjoy the YOYOFFICER's fun design. The Tusk is a great looking yo-yo that comes with SPLASHES of colors on it's body, this is by far the best and complicated looking yo-yo in the year 2016. This yo-yo requires a BIND technique to bring the yo-yo up!.